While working on a new project (I'll tell you more about it later! ), I have been struggling with the best way to pop amaranth. What is amaranth and why would you want to pop it? 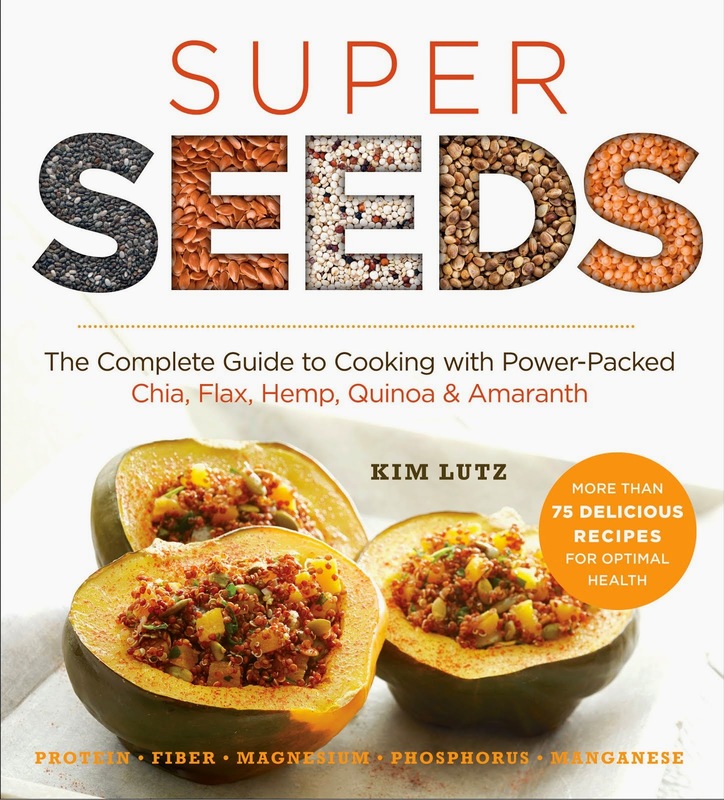 Amaranth is a power-packed seed (kind of a pseudo-grain) that hosts a whole range of nutrients, including all of the amino acids, high protein, lots of calcium and iron. 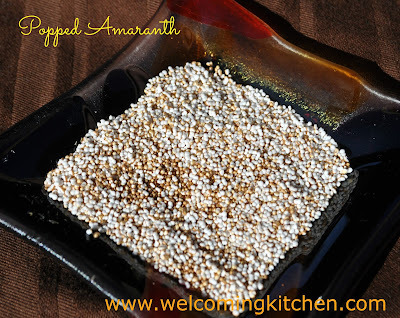 Normally, I cook amaranth like a grain (as in Cream of Amaranth or Cheesy Amaranth) or use it ground as a flour. It adds a nutty flavor and boosts the nutrition of a whole range of recipes. I wanted to pop it. Why? It pops up into itty bitty popcorn-like puffs. These puffs can be eaten as a cold cereal, used in a trail mix, eaten out of hand (though they're very small) or mixed into other recipes where you would use crispy rice. 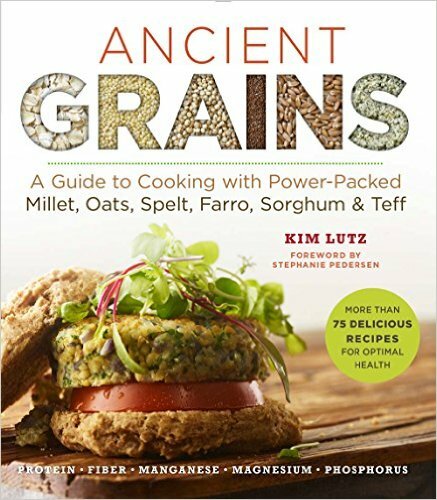 The dilemma is that because of their size, amaranth grains are just as likely to burn as to pop. After much trial and error, this method worked best for me. I recognize that the amounts being cooked at one time are tiny. If you use too much, the seeds won't have enough contact with the hot pot bottom and won't pop. If you keep the heat on, hoping to pop them all, you will definitely burn some and then the whole lot will taste burned. 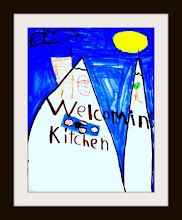 I shared this post with Gluten-free Fridays and Wellness Weekend. Yield: Popping increases the volume by about 3x. When a drop of water immediately balls up, add 1 teaspoon amaranth. Spread to evenly distribute over bottom of pot, cover and turn off heat. Most of the amaranth will pop, the seeds that don't pop will still have a nice toasty flavor and crunch. Pour into a bowl, and repeat until you have the desired amount. Note: If you use a soup pot, you can cook up to 1 tablespoon at a time. It has a nice flavor, Ricki, but it's really tiny! I've struggled with this - probably because I wait to long for all of them to be popped! I'll try your method for sure. Alisa, I think that's the ticket! Every time I waited for them all to pop, they burned. Keeping some unpopped, led to a crunchy, tasty result. I hope it works for you!